Originally Published in DeneenBorelli.com on 8/17/14. It’s clear Jesse Jackson is not accustomed to being challenged by the media. 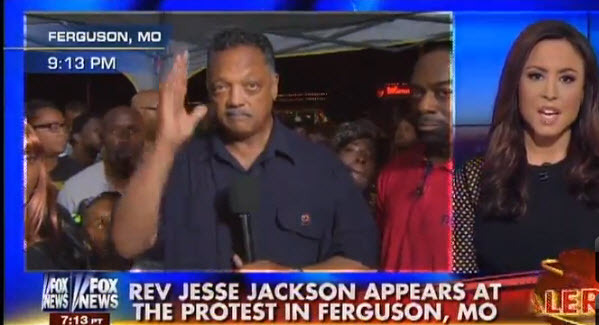 Jackson went to Ferguson, Missouri, to weigh in on the shooting death of Michael Brown. The 50th anniversary for the march in Selma, Alabama, provides an opportunity to remember a dark period in history when black Americans were victims of outrageous acts of racism and hatred, including Jim Crow laws and lynching. While many Americans reflected on the heroic efforts of civil rights leaders of that time, a few used the media spotlight to hijack the event to advance their personal agenda – in tragic irony- by fanning the flames of racism and injustice.